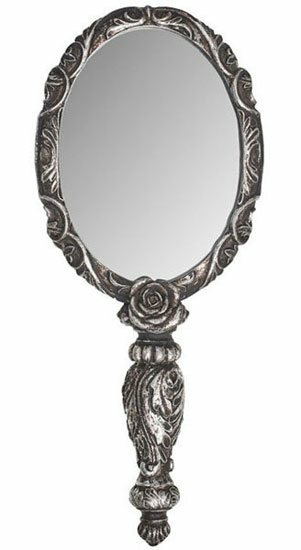 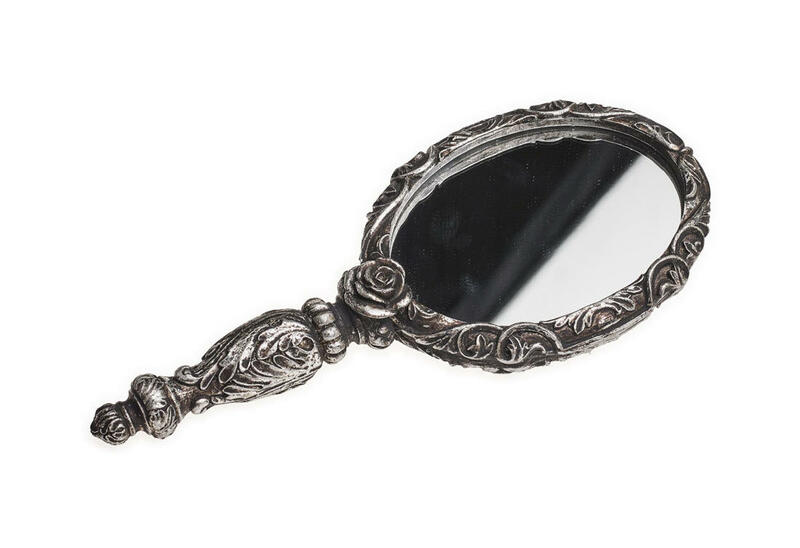 A beautifully carved and cast in resin antiqued silver color hand mirror. 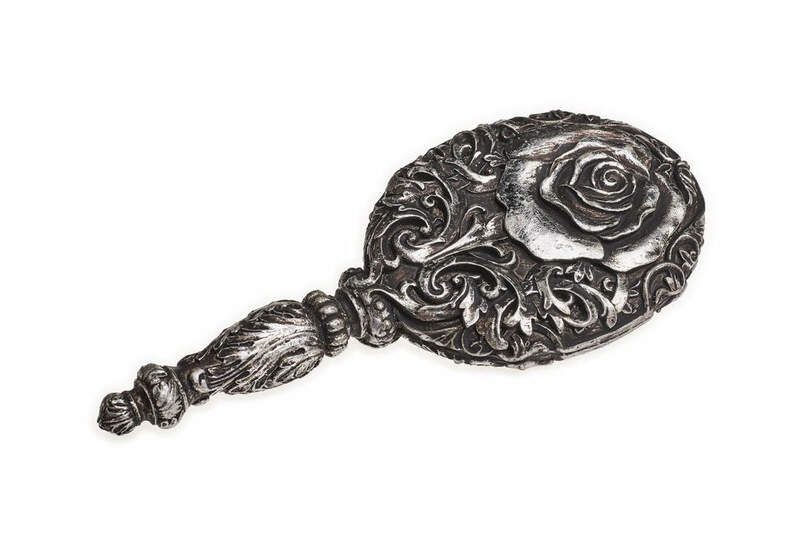 The Baroque Rose features a large rose design on the back and small rose on the front. 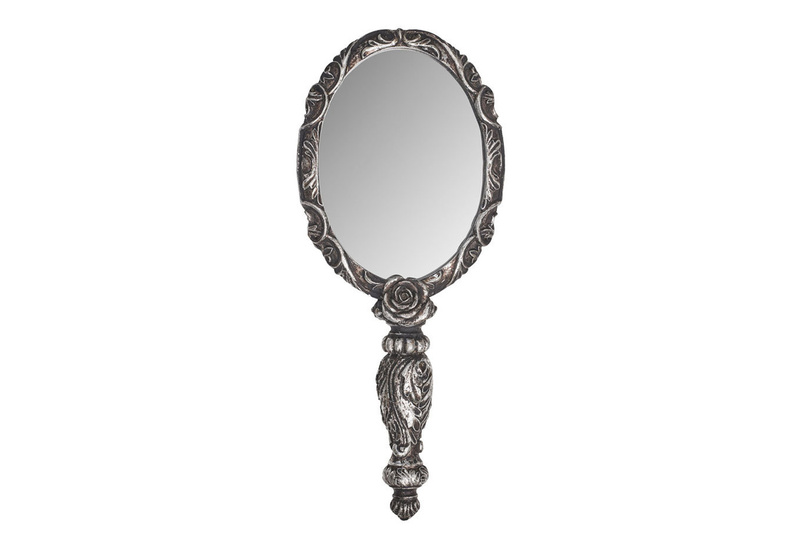 Approximate Dimensions: Width 3.46" x Height 8.27" x Depth 0.79"